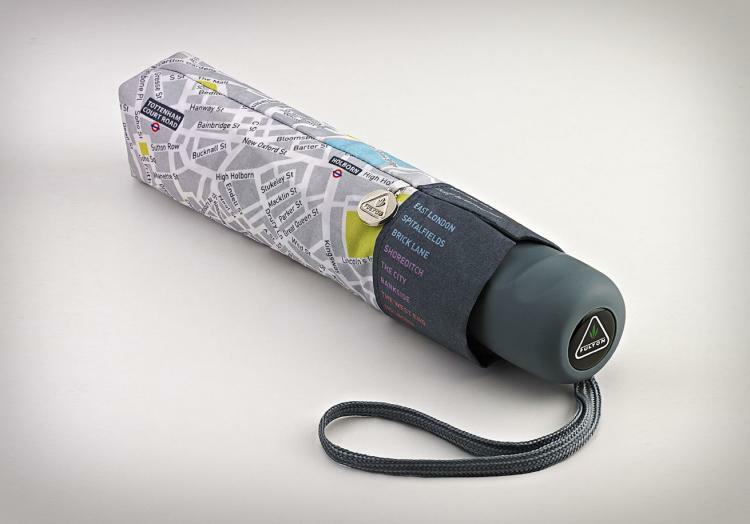 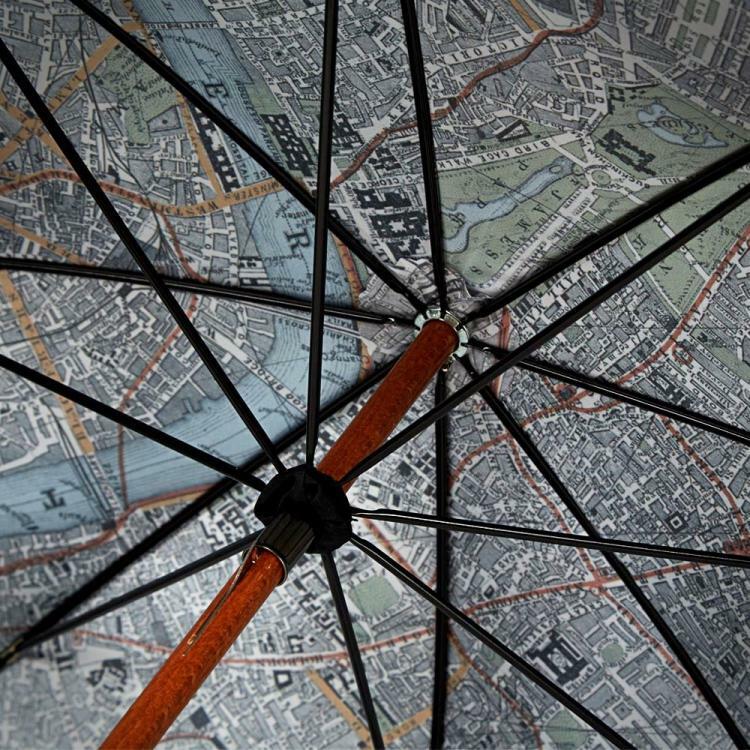 The London map umbrella is an umbrella with a map of London printed on the inside of it, so that once you get caught in the rain (and you will), and once you get lost (and you will), you will have the two things you need combined into one. 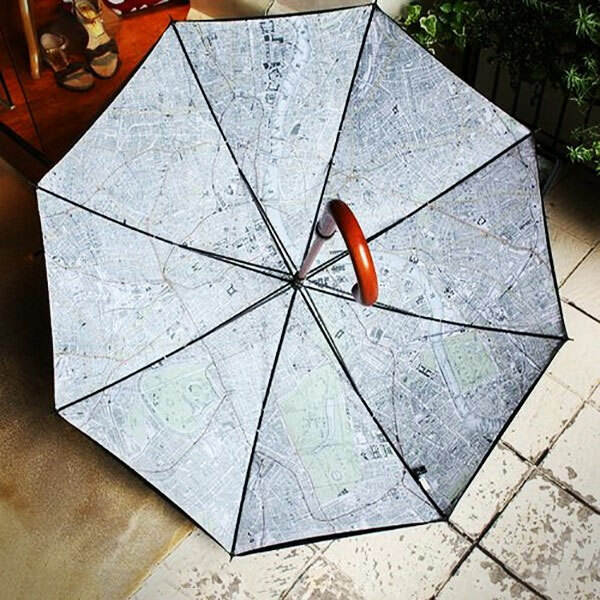 Just open up the umbrella, protect yourself from the rain, and navigate your way through the city. 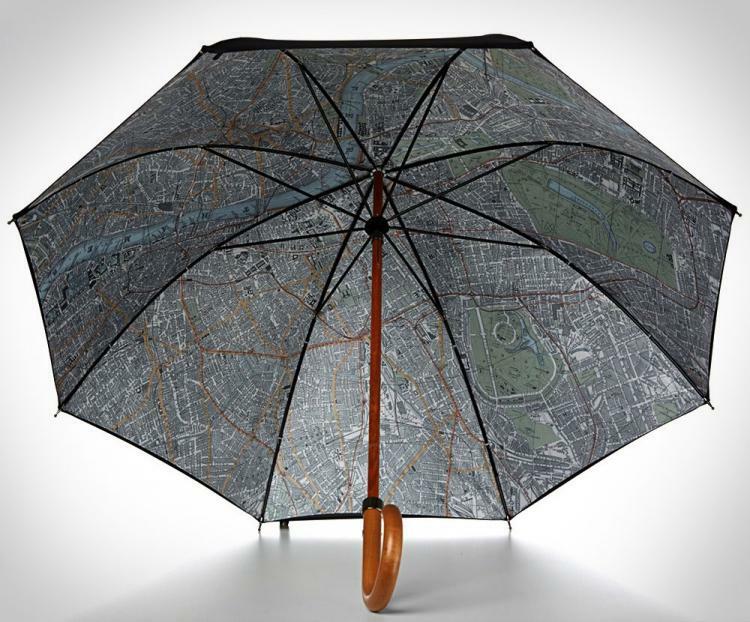 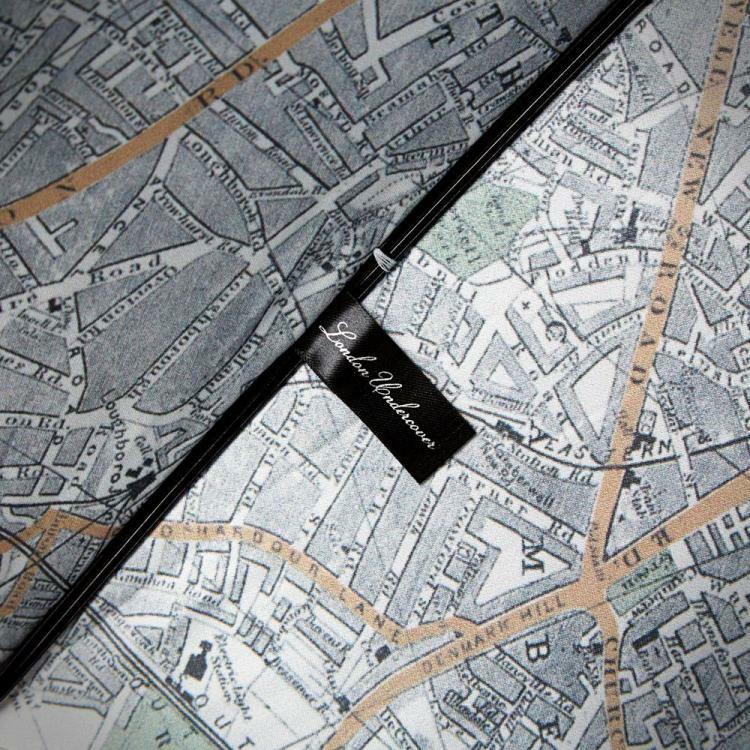 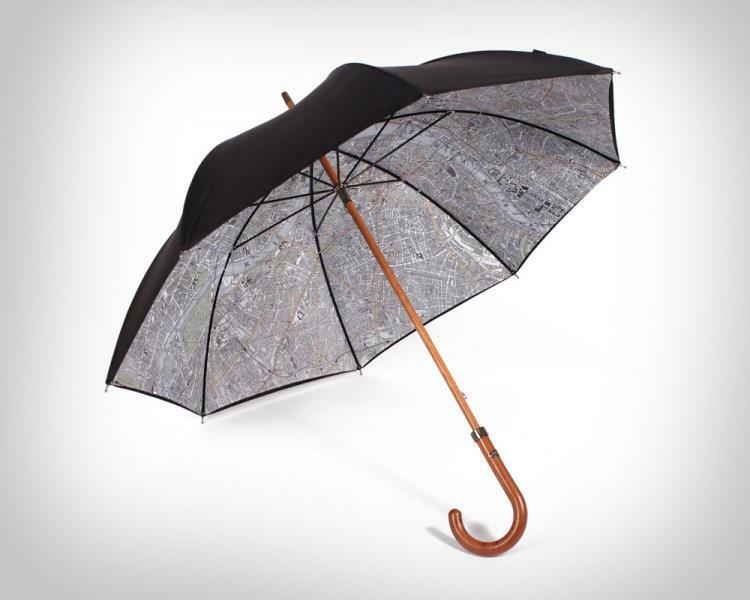 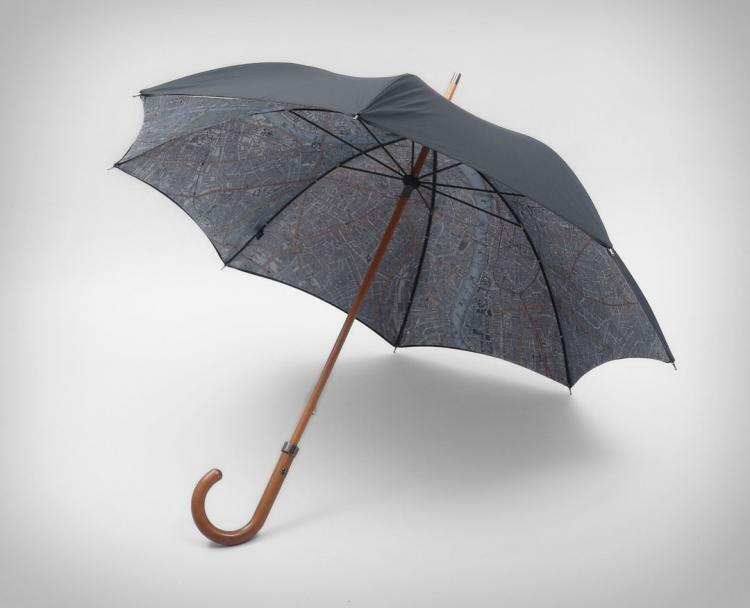 The London Map Umbrella is made with a beech wooden curved handle and has black canvas top, measures 36 inches long with a 7 inch handle, and is made in the UK. 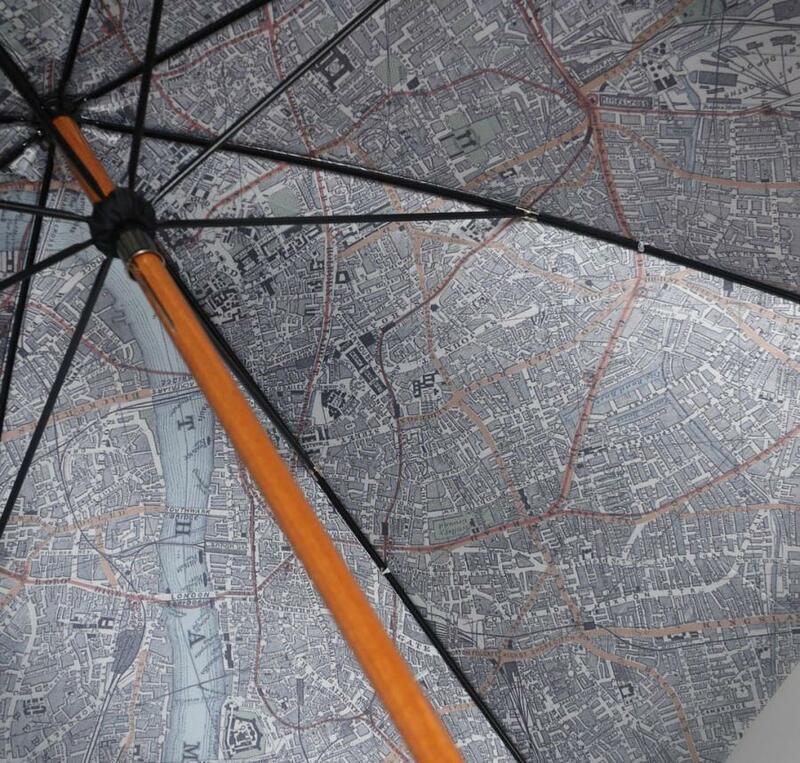 If you're not into London, and you would rather be looking at blue skies rather than rain, check out the Blue Skies Umbrella, or check out a cheaper version of the London Map Umbrella here.